10 years ago President Destler envisioned a festival that would inspire and awe visitors to the Rochester Institute of Technology. 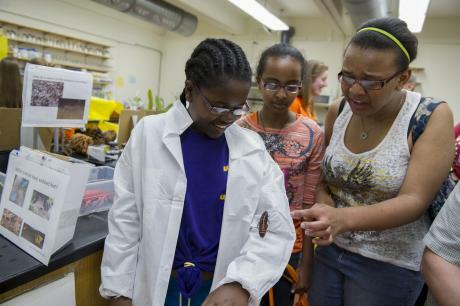 Now in it&apos;s 10th year, the Imagine RIT festival has continued to grow with this vision. This incredible showcase of interactive student projects is part science fair, part arts fair, part technology expo, and part family festival, all covered in awesomesauce! 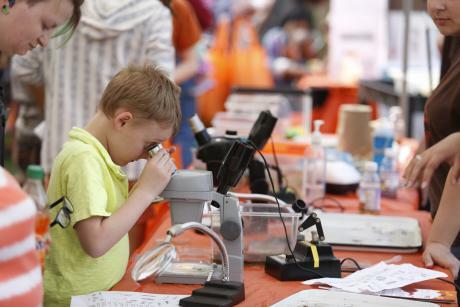 At Imagine RIT, science, technology, engineering and math (STEM) come to life before your eyes with colorful and engaging exhibits designed to amaze you. 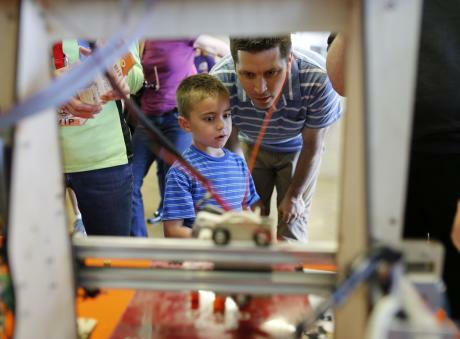 Imagine seeing the physics of an amusement park in miniature at the Theme Park Engineering exhibit or a room filled with 3-D printers creating objects in every material before your very eyes. Discover how technology is changing the lives of people all over the world making food more accessible, giving greater mobility those in need and much more. Did we mention this is an interactive festival? 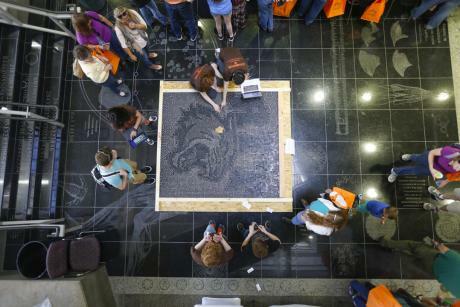 Visitors are free to touch, explore, and experience exhibits in every discipline. Prepare to get into the action and to get messy. Experience exhibits that engage all your senses as you see, touch, taste, and smell how science and innovation are changing our world. See why "Fluids are fun" with experiments using oobleck and slow motion water balloons. Taste how science makes your workout a little yummier with the blender bike. Learn how you can explore science at home with DIY science experiments. Get "artsy" with art installations and experiences of every discipline throughout the campus. Listen to live music, dance and theatre performances. See how art and technology blend to create new things like Iris Paintings. Get your face painted, create your own decorative tile, try your hand at figure drawing or help "yarn bomb" part of the campus. At Imagine RIT you are both the observer and the artist. More than just science and technology, Imagine RIT focuses on all aspects of life around us including the many cultures throughout the world. Explore the meaning of accessibility, with exhibits that examine how new technology is making communication more accessible for everyone. See performances such as traditional Haudenosaunee dance by Allegany River Dancers. Listen to music by the African Percussion and Dance Ensemble. Learn about the Afro-Brazilian martial art of Capoeira. 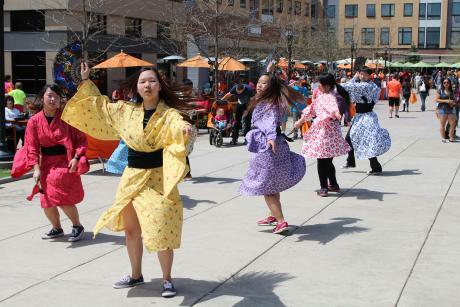 Celebrate Asian Heritage Month with crafts, music and traditional treats. Visit 1900&apos;s Jerusalem through the power of virtual reality. One thing is for certain at Imagine RIT you are going to have lots of fun. 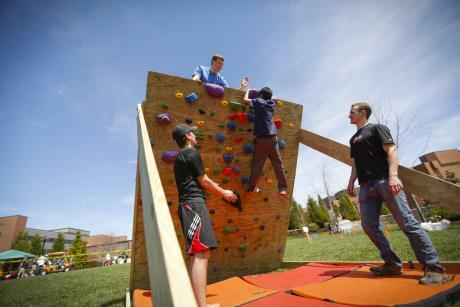 Whether it&apos;s rock climbing, playing a giant game of monopoly or working your way through the habitat for humanity maze, visitors will have lots of fun while they are learning. Challenge yourself with new experiences. You may even discover a new passion. 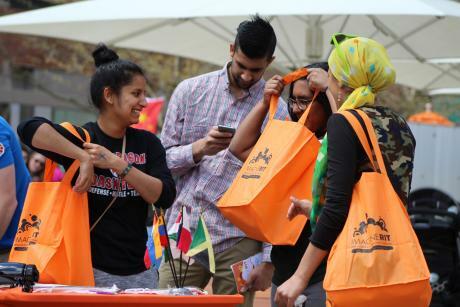 At Imagine RIT student clubs and organizations share their passion with visitors with anything from the arts and sciences, to sports and community awareness. See performances from clubs demonstrating, improv theatre, juggling, Judo or the ukulele. See massive displays of robotic projects or model railroads. 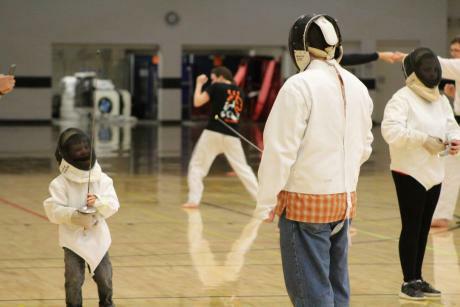 Try your hand at something new like fencing or needlepoint. Whatever you imagine, there is probably a club for that. Learn about the biodiversity of the Genesee River through a series of fun and interactive exhibits by the Seneca Park Zoo. Discover how Environmental Scientists are using technology to help the delicate ecosystems right here in the Rochester region. See how 3-D printed prosthetics aren&apos;t just improving lives for humans but for our animal friends as well. Find out how you can play an important role in the sustainability of our planet. Science has the ability to show us new ways of looking at our world and ourselves. Even the youngest visitors will enjoy "Science and Play" an exhibit designed to let young children experience the world of science through games and activities. Older children and adults will love exhibits that show how drones can use multispectral imaging to show us the world beneath our feet, or how science is using technology and software to show us new images of the universe beyond our world. Let Imagine RIT take you out to the movies, or better yet put you in the movies. 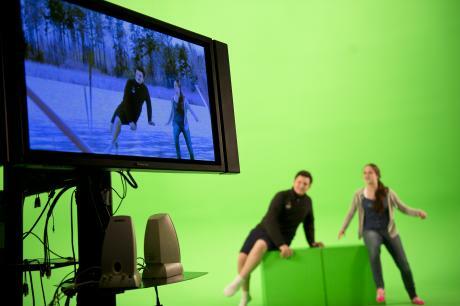 With exhibits like the giant green screen room, visitors become the star of their favorite films. Be part of an advertising campaign photo shoot. Learn about the science and art of animation through student projects. See exhibits that take their inspiration from some of our favorite stories from big screen like "A Day at Hogwarts" or "Soft Inflatable Robots". The "swag bags" you get when you first walk in aren&apos;t the only thing you will be taking home with you. At many of the exhibits visitors will have the chance to create personal items like a DNA necklace or a personalized flag book. You may even want to stop by the Shop One Art and Craft Gallery Store to do a little shopping. Most of all we hope you will walk away with a new understanding of the world and be inspired by the amazing work being done at the Rochester Institute of Technology every day. Most images are from the Imagine RIT Flickr account, find even more images from past festivals. 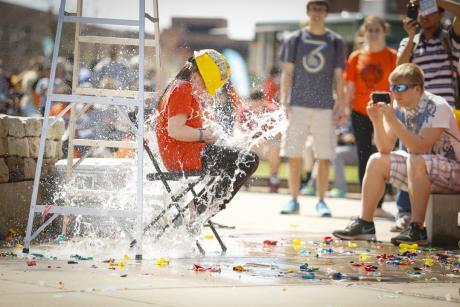 And watch this video to see the full story behind the Imagine RIT Festival.